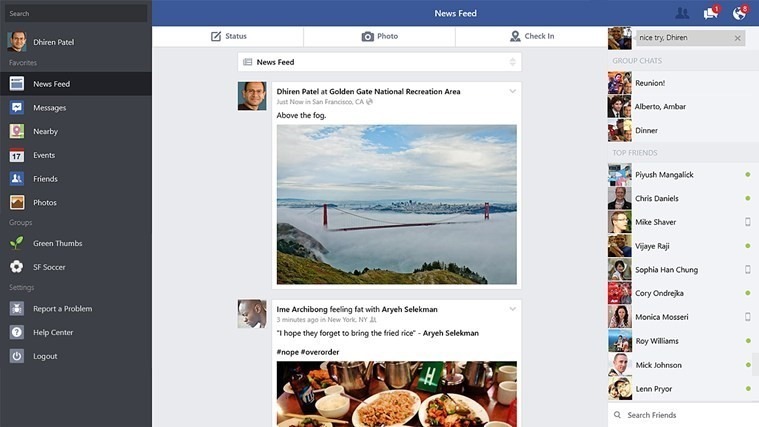 Facebook has just released a massive update to their Windows 8 App in the Store! 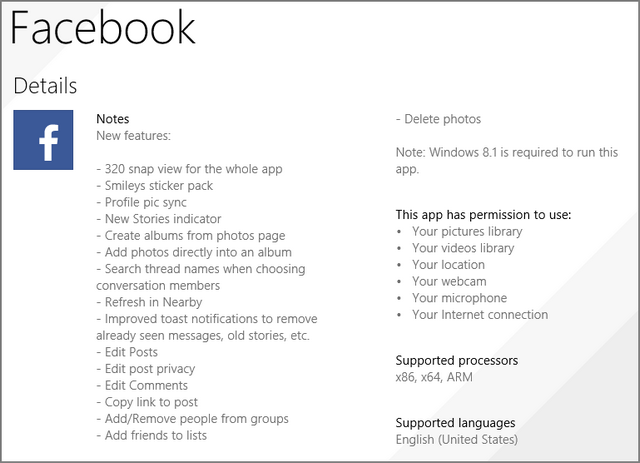 They’ve brought the the App up to Win8.1 level and added much requested features. I am not an iPad nor Android user, but if I’m not mistaken, the Windows 8 Facebook App has now stepped up in par with its iOS and Android siblings. Please let me know if I am right or not. – Improved toast notifications to remove already seen messages, old stories, etc. Note: Windows 8.1 is required to run this app. Get the update now in the Stove via the source below.